Cute dogs, funny outfits, match 3 action! 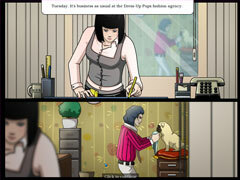 Pattie is an animal-lover, working at the Dress-Up Pups fashion agency for dogs. When her boss has to leave town on important business, she's put in charge of the whole place; it's a big opportunity for her! Help her deal with ten different clients, and their unique dogs and special requests. 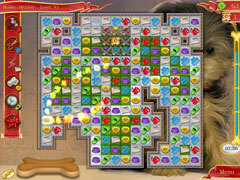 Form chains of matching symbols, and collect puzzle pieces to use in creating a final doggy outfit. 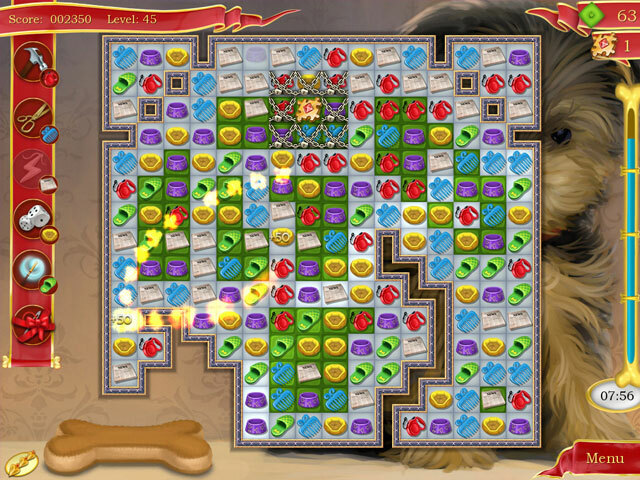 The addictive gameplay and hilarious dialogue will keep you coming back for more in this exciting match 3 adventure. 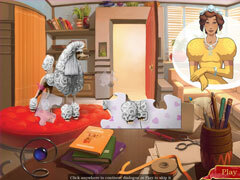 With over 190 levels and 21 outfits to discover, you'll be clicking and laughing for hours and hours!